Like any hobby, there are going to be a lot of new terms and abbreviations involved when learning. 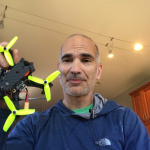 Gathered into this giant list, we’ve compiled many of the most common terms you’ll encounter when getting into the world of RC hobbies, quadcopters, and FPV racing. Be sure to also visit James’s post regarding the basic building blocks of a mini quadcopter. 1.2/2.4/5.8Ghz: Various radio frequencies used to transmit information between pilot and multicopter. 250 Racer: Term to describe a racing multicopter that’s 250mm or less diagonally from end to end. Very common type of quadcopter currently among FPV racers. Acro: Short for Acrobatic Mode. Mode in which the multicopter no longer attempts to self-level itself. When moving a control stick the craft will rotate around the corresponding axis. A more advanced flight control mode. Best for doing freestyle tricks and for precise flight control. Synonymous with Rate & Agility Mode. 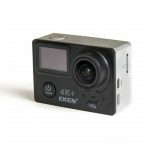 Action camera: usually an HD camera used to capture flight footage, but not used as the FPV camera. These would be your GoPro style cameras used to capture footage for your next tricks video. Racing drones generally have 2 cameras, one for recording and one for FPV. Air Mode: An ‘Acro-like’ flight mode that keeps PID loops active when your throttle stick is at zero – useful for acrobatic maneuvers and gives you better control over the throttle range. Check out Oscar Liang’s writeup for more detail. Betaflight: Flight controller configuration software. You can learn more about configuring Betaflight here! Binding: The process of linking a radio control transmitter (your controller) to the tiny computer that receives signals from it built into your drone. Brushless Motor: High performance electric motors that have no physical brush elements which wear and cause loss of power. These types of motors are largely reponsible for the amazing power to weight ratios of high performance aircraft like our racing drones. For greater detail, watch this video. Buzzer: Component which emits sound. Useful in cases where a multicopter crashes to aid in recovery. Cell: Refers specifically to the cells of batteries. In Lithium Polymer batteries, each cell gives 3.7 volts. Varying the amount of cells affects the way in which components will function. Check out our battery guide for more information. CF: Short for Carbon Fiber, the composite material used to build most quadcopters. Channel: Refers to a channel on a radio control system. Channels are loosely bound to the different sticks and switches on your transmitter. Cleanflight: Flight controller configuration software. You can learn more about configuring Cleanflight here! Diversity: Receiver that automatically switches between receivers to capture the best signal. DSHOT: Refers to a fully digital communication protocol between the flight controller and the motor speed controller. Refer to our article on the subject for more information. ESC: Stands for Electronic Speed Controller. Component that takes info from flight controller to vary the speed of the motors on a multicopter. One ESC per motor is required. Fail Safe: System that helps protect a multicopter in case of some type of error or catastrophe. For example, if a quadcopter loses control signal a fail safe may be for the quadcopter to completely cut throttle to motors. Fat Shark: Popular maker of FPV Goggles. Flight Controller: The radio transmitter that transmits a radio signal to a multicopter sending information to directly control flight and other functions. See our guide on the subject. Flow: Flying a circuit smoothly and with style. Getting into the groove while flying. FPV: Stands for First Person View. An on-board camera attached to a wireless transmission system allows a first person type view of the flight. FPV camera: Camera specifically designed for FPV use. These cameras are connected to the VTX to broadcast video to our googles. Gimbal: Set of motors and gyros to balance and steady an attached camera. Not commonly found on FPV racing quads, more typical for film type cameras to reduce shake. Goggles: Term to describe the first-person headsets that FPV Pilots wear giving them the first-person view from the multicopter. Horizon: Flight mode in which the multicopter will slowly self-level but affords the pilot the ability to do inverted tricks like flips and rolls. When directional inputs are not given, the craft will slowly right itself and hover similar to level mode. Jello: Undesired effect of vibration impacting video. Video appears distorted like jello jiggling. Level Mode: A flight mode that anyone who has flown small toy quadcopters will be familiar with it. In this mode, the sticks control the tilt of the quadcopter. Pilots cannot fly inverted or do complex tricks in this mode, but the quadcopter is far easier to control. Line of Sight: Piloting method in which the pilot does not use a first person view of the multicopter. Instead the pilot is watching the craft in third person while flying from a distance. LiPo: Abbreviation of Lithium-Polymer. In relation to batteries, multicopters use rechargeable LiPo batteries. Commonly power craft, controller, and goggles. mAh: Short for milliAmpere hour. Electrical term that measures how much charge a battery can hold. Higher mAh rating = more battery time = more weight. Microquad (or micro-quadcopter): A small quad, usually powered by a 1S battery. These are your “toy” style quadcopters that are usually lightweight and fit in the palm of your hand (see also: Tiny Whoop). Miniquad (or mini-quadcopter): Your standard racing quad. Ranging from 180mm past 250mm, these are the nimble quadcopters we use in drone racing. Mode I: Mode I refers to a particular control layout. In this configuration, the left stick controls pitch and roll while the right stick controls yaw and throttle. This is a popular flight mode for Australian and Asian pilots. Mode II: Mode II is the control layout that has yaw and throttle on the left stick and pitch and roll on the right stick. This mode is much more common among pilots in the US. Multicopter: General term to describe a craft that utilizes two or more motors and propellers to generate thrust in order to fly. By coordinating the thrust of each propeller, flight and directional movement can be achieved. Multishot: Refers to a high performance analog communication channel between the flight controller and the ESC. We recommend DSHOT where possible. Read more here. OSD: Stands for On Screen Display. Component which overlays data on top of any transmitted video feed. Typically used to show telemetry information such as speed, battery life, heading, etc. PIDs: Acronym for Proportional, Integral, and Derivative. Affects the rate at which a multicopter corrects its stability. More advanced topic. Pitch: Forward and Backwards motion. Punch: Giving a sudden burst of thrust to “punch” the multicopter through the air. Quad: Short for Quadcopter. A quadcopter is a multicopter that specifically has four arms, each of which with its own motor and propeller. Receiver: Receivers are what accept the radio signal from a controller and in turn controls the multicopter. RTF: Stands for Ready-To-Fly. RTF type crafts are ones that are ready to fly right out of the box. No additional assembly is required and no other modifications necessary. Check out this article for more details. S: (see Cell) S is shorthand when referring the number of cells in a LiPo battery. 3S has three cells, 4S has four cells, and so on. TAER1234: Common term found when setting up transmitter mapping when undergoing the software setup on your drone. Stands for “Throttle, Aileron, Elevator, Rudder”. This is the common transmitter map to select if you are using JR/Spektrum receivers. Telemetry: In the world of multicopters, telemetry refers to the collection of data that’s being recorded from various instruments on the multicopter and then shared back to the user. Types of data can include battery life, heading, speed, radio signal strength, as well as many other readings. Throttle: Controls up and down movement. The amount of speed (RPM – rotations per minute) of the motors on a multicopter. Higher throttle generates more thrust. Thrust: The combined amount of force from a propeller generated by a motor. Thrust generates lift. Lift is what takes you up and into the sky. Transmitter: Radio signals are sent out from a source and received on the other end by a Receiver. An example is a flight controller sending control signals to a multicopter telling it to turn left. Check out this article for setup instructions and troubleshooting. Trim: Setting to adjust the way a multicopter hovers. Adjusting trim can help to keep a multicopter to stay in place while hovering. UAS/UAV: Stands for Unmanned Aerial System or Unmanned Aerial Vehicle. General term to describe multicopters and RC planes. VTX: Video transmitter. The component on our quadcopter that broadcasts video from our FPV camera to be received by our goggles. 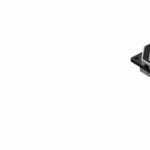 XT-60: Most common type of battery connector found on FPV Racing Quadcopters. Yaw: Rotation along the Z-axis. Think of turning your head to the left and right. Flite Test: Hobbyist group that specialized in all things RC – specifically flying RC. Rotor Riot is a subset of this group. Check out our community channels post for more details. Mobius: Brand of camera commonly used to capture flight footage. Praised for its light-weight and small, compact size. Rotor Riot: Miniquad freestyle and racing experts that create content on YouTube. Runcam: Brand of cameras – they produce FPV cameras as well as action cameras. Team Blacksheep: Flying team that specializes in a variety of aircraft. Also produce high end components and RTF quads. Xiaoyi – Brand of action cameras. The Yi is the most commonly known. Cheap GoPro alternative. Be sure to also refer to these sources: Reddit Glossary of Terms and Vimlossus RC Terms Thread. 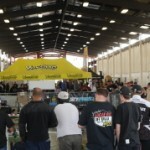 For more information on RC companies and vendors, be sure to check out our miniquad vendor list. This list also contains the specialties for each supplier.